Pristorhamphus versteri Finsch, 1876, New Guinea. Four subspecies. French: Piquebaie éventail; German: Fächerschwanz-Beerenpicker; Spanish: Cerezero Cola de Abanico. 5.5-6 in (14-19 cm). Female larger (wing length (2.6-2.8 in [6.6-7.1 cm]) and heavier (0.56-0.7 oz [16-20 g]) than male (2.32-2.52 in [5.9-6.4 cm]; 0.44-0.53 oz [12.5-15 g]). Whitish underparts and lateral feathers on distinctively long tail. Brownish black upperparts. From 4,500 to 10,800 ft (1,400-3,300 m) up in mountains in New Guinea in both Indonesia (Irian Jaya) and Papua New Guinea. M. v. maculiceps: southeast New Guinea; M. v. meeki: northwest New Guinea, Weyland, and Snow Mountains; M. v. versteri: northwest New Guinea, Vogelkop; M. v. virago: northern and northeast New Guinea. Montane forest, tree-fern heaths, and alpine thickets. Sometimes occurs in middle strata of forest but usually keeps to undergrowth. Shy, usually solitary or in pairs, and an active feeder. Shows white in tail when flying. Acrobatic. Harsh song; it also utters squeaks and nasal scolding calls. Small berries, eaten whole, and insects. Sometimes hover-gleans to feed. 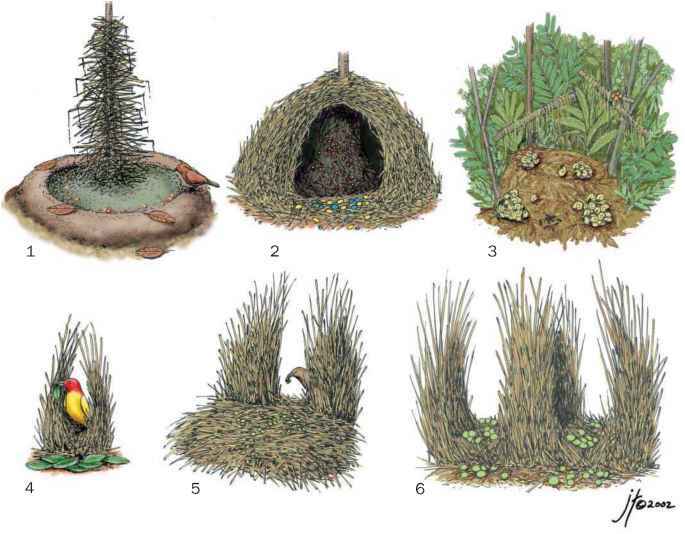 Nest large in relation to the bird's size. A solid deep cup, 3 in (8 cm) across and 4 in (10 cm) high, placed in the fork of a branch, and well-camouflaged.